Good Morning Welcome to the C2GO Newsletter. If you are looking to expand your fitness business & teaching online and need some help and advice on topics including online workshops, legal music, digital presentations, corporate wellness, women’s health and your business in general then come along to my first Business Building Brunch In Nottingham on Friday 15th February CLICK HERE It’s at The Browns Restaurant and is very accessible. 930am start plus you can chat with me personally about your business wants and needs. If you click the links above you will find a 5 minute Brainfit LET GO meditation. It’s so simple and if you teach a relaxation section at the close of class this may give you a new idea. Also my latest LIFT LEAN 12 minute workout including simple warm up and cool down. I have been playing WORK HARD by Pure Energy pretty much every class! I LOVE every single track and wished I had created it. It literally rocks from start to finish. Head over to PURE ENERGY online and download it today. For mind-body and I am still playing PRO BEATS 3 It is a PPL licence free mix and every track is beautiful. DO YOU WANT MORE IN-DEPTH BUSINESS GROWTH UPDATES clickhere and join my Fitness Business newsletter. In this week’s podcast I discuss with JAYNE NICHOLLS what is really working in her business. Jayne does not waste time on social media, or chasing after customers, or email marketing she knows exactly what works and where she wants to spend her energy. It’s so refreshing and I’ve had a ton of messages from listeners literally Laughing Out Loud at Jaynes honest conversation and if you do enjoy this please leave a review in Itunes. 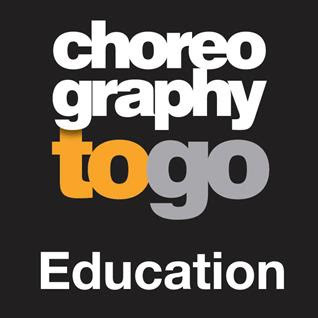 The Choreographytogo SURVEY has been immensely helpful in regard to content and what everyone is teaching and where! so much has changed since I started this newsletter almost 18 years ago. It’s been brilliant getting to know exactly what you are all doing. I can now tailor the content more precisely. HERE IS THE LINK – So if you haven’t already filled in please do and get 15% discount on all C2GO courses and events including the BRUNCH. Every Monday Including Women’s Health, Nutrition, Food, Recipes, Home Workouts, Productivity, Meditation, Fitness, Wellness, Time Management, Food, Lifestyle, Mental & Physical Health, Beauty, Longevity, Reverse Aging, Biohacking, Fashion & Fun. 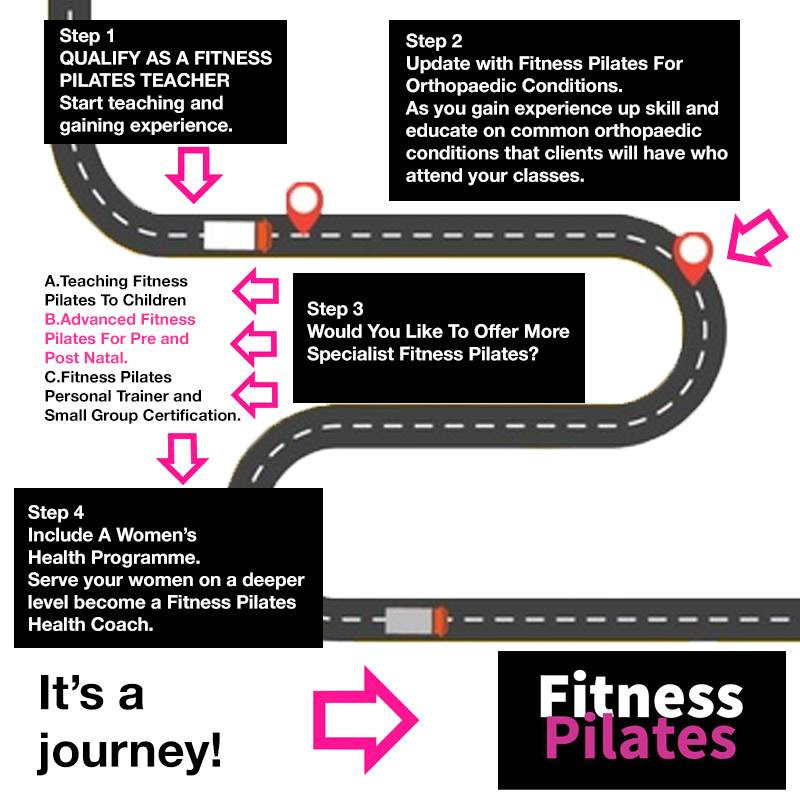 Every Sunday For ALL Pilates Trained Teachers and Aspiring Pilates Teachers – News, Exercises, Video Workshops, Events, Class Ideas, Marketing and PR. Add your email for a 15% discount on courses in 2019. 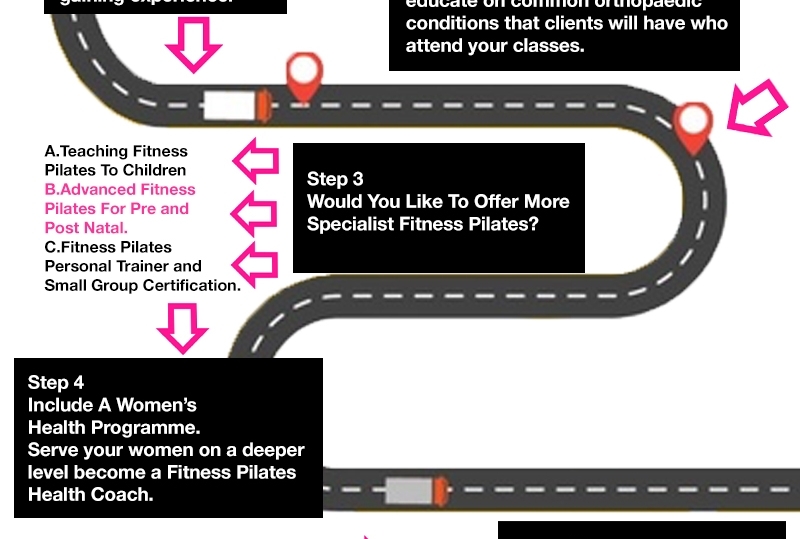 CLICK HERE to join the Fitness Pilates newsletter and once qualified in Fitness Pilates here is a map of what you can do and where you can take it. Do You Need Some Help With Your Business – Join My Brunch?